Huawei Mate 20 is making a big buzz in the market right now and rightly so; the new chipset installed in this new upcoming flagship smartphone has made it the most powerful Android device in the market. The Mate 20, supposedly featuring the model number LYA-L29 was tested on Geekbench and produced remarkable numbers, as you’ll soon find out. The new chipset made Huawei’s chip manufacturing division is much faster and better than its predecessors like Kirin 970. The company’s Consumer Business Group CEO Mr Richard Yu introduced the Kirin 980 as the SoC that will evolve the mobile’s AI capabilities. 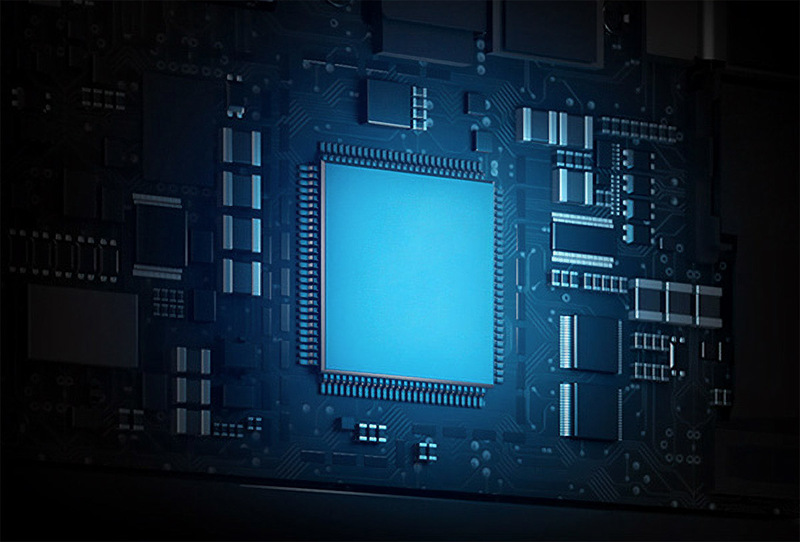 As of right now, the Kirin 980 is a combination of best-in-class performance, efficiency, connectivity features and Dual NPU AI processing power for high-end Android smartphones. When compared with the scores other smartphones generated on Geekbench we can observe a great difference. The OnePlus 6 scores 2,370 and 8,720 points for the single and multi-core test results, respectively, while Huawei’s P20 Pro obtained 1,900 and 6,700 points in the same categories. Given the fact that the Kirin 980 would be the fastest but to what extent? 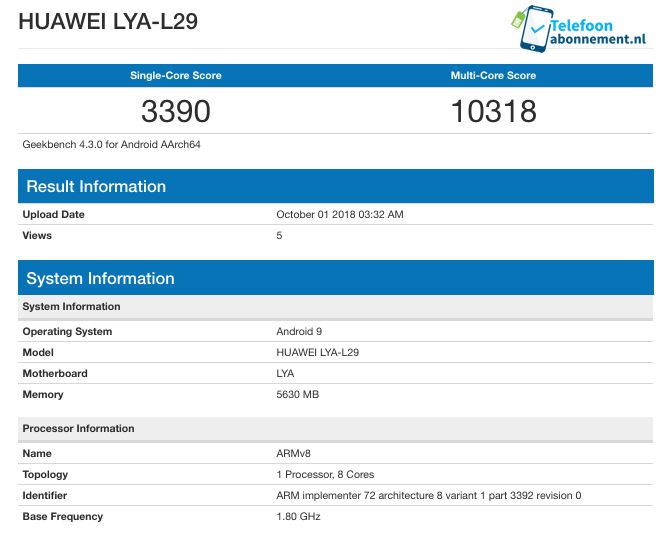 The Huawei LYA-L29 appeared on Geekbench with a sample score of 3,390 for the single-core test results and 10,318 points for the multi-core test results. The device’s model name is LYA-L29 that runs Kirin 980 is presumably the Huawei Mate 20, or the Mate 20 Pro. Other specifications highlight that the handset carries 6GB of memory and is running on the Android 9 Pie update. Both the Huawei Mate 20 and Mate 20 Pro are officially launching on October 16, and they are expected to feature a new and improved triple-camera rear setup that is expected to eclipse the prowess of the P20 Pro. The Huawei Mate 20 Pro is expected to feature an OLED display, with its highest specifications version expected to feature up to 8GB of RAM and 512GB of internal storage, but this will be limited to certain markets. With the latest scores, it can be concluded that the Kirin 980 cannot beat the A12 Bionic, but there is more to performance than just running benchmarks via Geekbench. Do you agree? Let us know down in the comments.